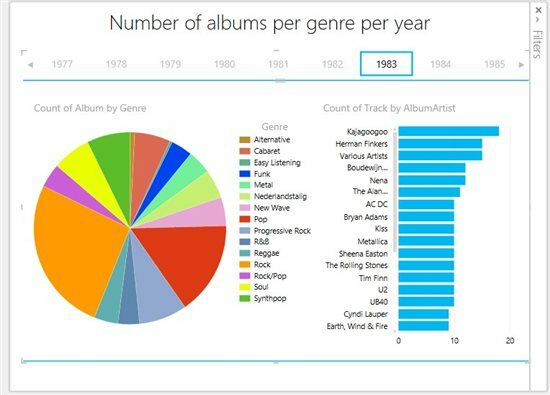 Jeroen Ter Heerdt, Technology Advisor Business Intelligence at Microsoft and part time Power BI Rockstar decided a couple of months ago to use Power BI and visualize his music collection using Power BI and this was the result. Tapping into the data behind his MP3 collection ID3 tags, he exported a CSV file with all the information. 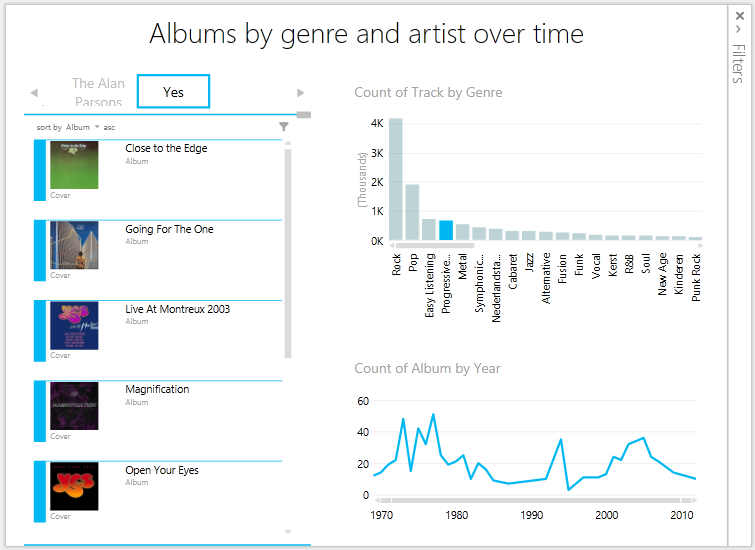 Later, he imported the data using Power Query into Excel, creating new calculated columns such as record cover image paths, date, years and bitrate and changing their data types before even having a spreadsheet. Later, using Power View, he was able to create some interesting visualization to get insights about the music he likes. 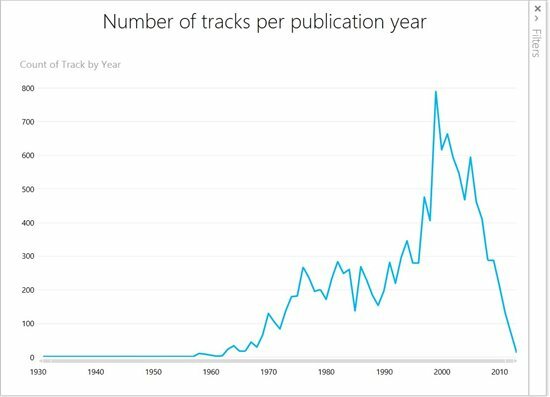 Apparently most the tracks in his collection were released around 2000, while the oldest track I have has been released in 1930. 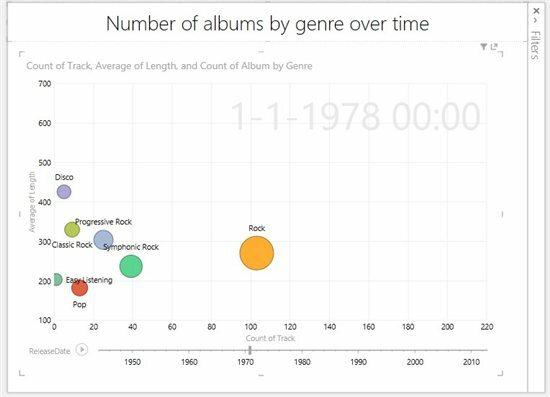 This clearly shows that in 1978 the rock genre was most popular (at least in the albums in his collection). 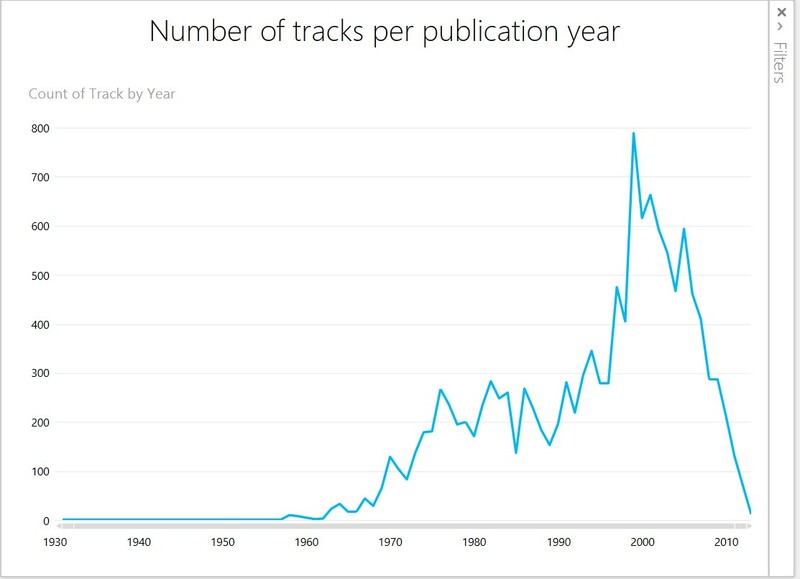 However, the Disco songs were the longest on average. The play axis at the bottom allows us to play through his collection over time. This shows the progressive rock genre and when it was popular. Also it shows which artists released albums categorized as progressive rock and which albums I have of that artist (in this example Yes).